If 2018 was the year of change, then 2019 might be shaping up to be the year of transition. Experts across the country discuss housing market shifts, what that means for your business, and what you can expect in the year ahead in October Research LLC’s State of the Industry special report. 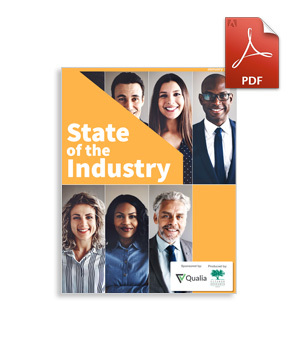 Thanks to sponsor Qualia, the 20-page special report is offered as a free download. What do housing forecasts call for? What’s fueling title industry momentum? With new CFPB leadership, what should you expect? Frank Pellegrini, Prairie Title Services Inc.
You'll then be presented with a link to download the PDF.